Sitting on the southern bank of the River Thames, Surbiton is a suburban area in southwest London within the Royal Borough of Kingston upon Thames. With a population of around 40,000 and great access to central areas of the English capital, there’s a very strong local property market. At My Home Move Conveyancing we’ve been developing our knowledge of housing markets like Surbiton’s since 2001, allowing us to offer our clients in the area an unrivalled conveyancing service. When buying or selling property in Surbiton, you need to instruct property lawyers to carry out the legal work on your behalf. 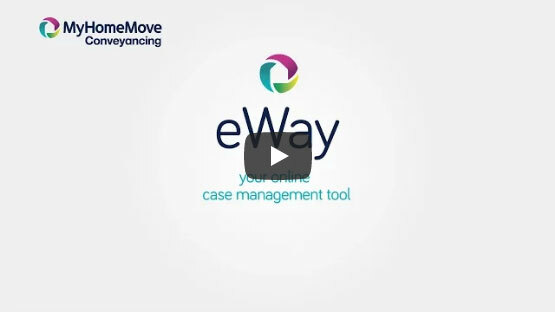 My Home Move Conveyancing offers our clients in Surbiton an award winning level of customer service, innovative use of technology and intimate knowledge of the local market. There are no hidden costs with our energetic, friendly conveyancing service, which helps us to build trust with our valued clients. Choose us as your Surbiton conveyancers, and if you don’t end up completing for some reason, you won’t have to pay us a thing due to our ‘no completion – no fee’ policy. We’ll assign you a dedicated conveyancer who’ll take care of all aspects of your case from start to finish. You’ll have a consistent point of contact who’s prepared to go the extra mile for you, as well as regular progress updates and 24-hour a day access to your account. At My Home Move Conveyancing we’re pleased to provide our conveyancing services in Surbiton to help buy a variety of homes across the area, including in spots close to the train station, by the river and in neighbourhoods like Oakhill. The average house price in Kingston upon Thames is £483,976, while the overall average sale price during the last year in Surbiton was higher than this at £558,131. Most sales in this period involved flats, which went for an average of £402,004, while semis fetched £675,709 and terraces sold for £578,587. Surbiton as it’s now known was a product of nearby Kingston rejecting the proposed London to Southampton railway line passing through its boundary. This meant the line ran further south, with Surbiton’s station opening in 1838. This means that Surbiton is on a main line compared to the larger Kingston being on a branch line, making it a great place to live if you work in the heart of London. There are trains to the capital’s Waterloo station which take just over 15 minutes, and there are plenty of services you can catch for the morning commute. Surbiton is also conveniently located for Heathrow Airport, which is less than ten miles away. Unfortunately, you have to go to Waterloo to head back out to Heathrow on the Tube if you want to get there on the train, but there are buses that run the route that should cut down the journey time. Families with children have a great choice of local schools to consider, with highly rated primary options including St Andrew’s and St Mark’s CofE, Christ Church CofE, Our Lady Immaculate Catholic Primary and Grand Avenue Primary and Nursery School. There are two secondary schools in Surbiton itself, Tolworth Girls’ School and the mixed Hollyfield School, which both have sixth forms attached. All properties in Surbiton will fall within one of the following council tax bands.